Was your mother too busy, too tired, or too checked-out to provide you with the nurturing you needed as a child? Men and women who were undermothered as children often struggle with intimate relationships, in part because of their unmet need for maternal care. "The Emotionally Absent Mother" will help you understand what was missing from your childhood, how this relates to your mother s own history, and how you can fill the mother gap by: * Examining the past with compassion for yourself and your mother* Finding the child inside of you and learning to mother yourself* Opening to the archetype of the Good Mother* Allowing friends and loved ones to provide support, guidance, and other elements of good mothering that you missedThrough reflections, exercises, and clear explanations, psychotherapist Jasmin Lee Cori helps adult sons and daughters heal the wounds left by mothers who failed to provide the essential ingredients that every child needs. She traces perceived personal defects back to mothering "deficits," relieving self-blame. And, by teaching today s undermothered adults to cultivate the mothering they missed, she helps them secure a happier future for themselves and their children." With a compassionate and steady voice, Jasmin Lee Cori guides the reader through the difficult terrain faced by adults who have grown up without sufficient emotional mothering. Relying on personal experience and practice as a psychotherapist, she provides insight and tools to help readers overcome the challenges of a painful childhood and to move into the pleasures of living adult life fully. Kathryn Black, MA, psychotherapist, author of "Mothering Without a Map: The Search for the Good Mother Within"
Evelyn Bassoff, PhD, psychotherapist and author of "Mothering Ourselves: Help and Healing for Adult Daughters"
Jasmin Lee Cori has done a superb job of describing the importance of childhood attachment needs and the psychological wounds that get inflicted when an emotionally absent mother cannot meet those needs well enough. She has skillfully laid out clear steps wounded adults can take to identify their inner strengths and heal attachment wounds. 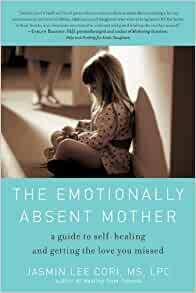 I wholeheartedly recommend this book for anyone who wishes to understand and heal the wounds that can arise when parented by an emotionally absent mother. Shirley Jean Schmidt, MA, LPC, author of "The Developmental Needs Meeting Strategy: An Ego State Therapy for Healing Adults with Childhood Trauma and Attachment Wounds"
This book effortlessly intertwines neuroscience with clinical acumen in a lovely work of extraordinary depth. In her compelling, heart-rending analysis of the importance of motherhood, Jasmin Lee Cori has created a work as significant as Alice Miller 's "Prisoners of Childhood". Easily accessible and very useful, it is a must-read for parents-to-be, those in the helping professions, and adults who have been wounded by a negligent parent. --Evelyn Bassoff, PhD, psychotherapist and author of "Mothering Ourselves: Help and Healing for Adult Daughters"
--Connie Dawson, PhD, coauthor of "Growing Up Again: Parenting Ourselves, Parenting Our Children"
This book is a revelation to those of us whose mothering was short of what we needed. The author sensitively and authoritatively weaves developmental principles into a compassionate understanding of what it means to be under-mothered. This book effortlessly intertwines neuroscience with clinical acumen in a lovely work of extraordinary depth. In her compelling, heart-rending analysis of the importance of motherhood, Jasmin Lee Cori has created a work as significant as Alice Miller s Prisoners of Childhood. Easily accessible and very useful, it is a must-read for parents-to-be, those in the helping professions, and adults who have been wounded by a negligent parent. Kathryn Black, MA, psychotherapist, author of Mothering Without a Map: The Search for the Good Mother Within"
Jasmin Lee Cori, MS, LPC, is a licensed psychotherapist who specializes in working with adults who experienced childhood abuse and neglect. She has worked in human service agencies and private practice, and taught psychology in colleges and professional schools. 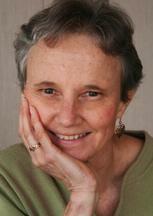 She is the author of numerous articles and four previous books, including Healing from Trauma. Reading this really hit me hard, however, it was also a relief. Very well written and easy to understand. Would recommend. 5.0 out of 5 starsTapped into some very powerful truths and emotions. A very powerful book. This book may put you in touch with some very strong emotions of grief, anger, sadness and pain. I was grateful to have a counsellor to help me to process what needed to come out. It was very very intense. Quite emotional, I can relate. Haven't finished reading. For me personally, 90% of this book rings painfully true, and it is genuinely helping to finally understand why I am so screwed up. Hopefully, by the time I have finished reading it, I will learn how to unscrew myself. Wow, essential reading for anyone who has always suspected that their mother seriously let them down emotionally. Ms Cori takes the view that if you feel she did, then you are probably right. Mine is in there to the life and I understand a great deal more now about what went wrong and why, and that indeed it wasn't my fault. A very useful book for people who have troubled relationship with their mother.